Please leave before you inflict more damage on your country, constitution and party. And take some of our colleagues with you. Here are the five steps you need to take. Last week, 174 fellow Conservative MPs wrote to urge you to leave the EU on 12 April. On Monday, more of your Cabinet voted to leave on 12 April than to extend our membership, even though you stacked it with Remainers, even though you kept them at it for seven hours – but you immediately announced that you would seek a second extension, in alliance with the opposition Labour Party. You are now acting against your Cabinet, party, manifesto, prior policies, repeated promises, electors and the law. You should have allowed Britain to leave on 29 March in accordance with the EU Withdrawal Act of 2018, but you falsely treated your first extension as an international law trumping domestic law. I and others pointed out your unconstitutionality. Then with two days to go, amid renewed ‘Project Fear’ about ‘crashing out’ and ‘falling off a cliff’ if Britain left on 29 March, you bounced the House of Commons into a quick Statutory Instrument to amend Brexit Day. However, a Statutory Instrument was not sufficient: we lawfully left on 29 March. The legal challenge has now been launched at the High Court. Seeking a second extension would double your unconstitutionality. Repudiate your announcement on Monday to seek a second delay, let the law take its course, end the uncertainty, deliver the Brexit we voted for (‘leave the EU’), and get back to urgent business, as you keep promising. 2. Leave your Withdrawal Agreement in the bin. Your proposed Withdrawal Agreement amounts to indefinite purgatory, subject to the EU’s veto, with all current obligations but without current membership rights. Such a status guarantees that the EU would force us into an even worse arrangement. Stop calling it a ‘deal to leave the EU’ or the ‘Brexit people voted for’. To re-motion it would defy Parliament and the constitution. Your proposal has been voted down by Parliament three times already. Your prior re-presentations were unconstitutional, because you never changed the proposal. You pretended in mid-March to negotiate an addendum to remove the EU’s veto when you actually confirmed it. You pretended on 29 March that detaching the Political Declaration changes the Withdrawal Agreement. You have not yet revealed what pretence would justify a fourth presentation. You have wasted four months by denying it could be changed, when you could have been renegotiating. ‘No deal is better than a bad deal,’ you have often said. Negotiate a better deal (free trade agreement was your first policy) or leave without a deal! 3. Leave Jeremy Corbyn’s office and face your Cabinet. Rather than follow your Cabinet’s advice, you are turning to the Labour Party. What on earth makes you think you’ll get more sense out of a scruffy Marxist like Jeremy Corbyn? Perhaps you feel kindred with a man who is as indecisive and two-faced as you. While you pretend that indefinite purgatory is better than ‘no deal’, he pretends that he can re-join the Customs Union and influence it without being a member of the EU. Both of you pretend that your plan would deliver Brexit. Both of you have failed to convince a majority in Parliament or the public. Indeed, on Monday, Labour whipped in favour of Common Market 2.0 and in effect dropped its competing alternative. It still didn’t get a majority. Now you want to meld two impossible and unpopular plans, rather than fall back on your pledge that ‘no deal is better than a bad deal’. 4. Leave the Conservative Party that you turned into a New Labour clone. Most of the Parliamentary political parties, the new ‘Independent Group’ or ‘Change UK’ Party, and other splitters and independents, claim to command the ‘moderate’ or ‘centre ground while tacking ever leftwards. You should have taken advantage, like Margaret Thatcher, by articulating the Conservative Party’s differentiation and the flaws in the liberal-progressive consensus, such as the unfairness of levelling, the anti-meritocracy of affirmative action, and the reverse prejudices of identity politics and social justice. Instead, you turned your Party into a clone. In 2002, you – as chair of the party – told delegates that they were the ‘nasty party’. In 2005, you bandwagoned with David Cameron’s leadership of the New Labour clone that he called ‘compassionate conservatism’. He rewarded you with the Home Office, for which you were not qualified and at which you failed. 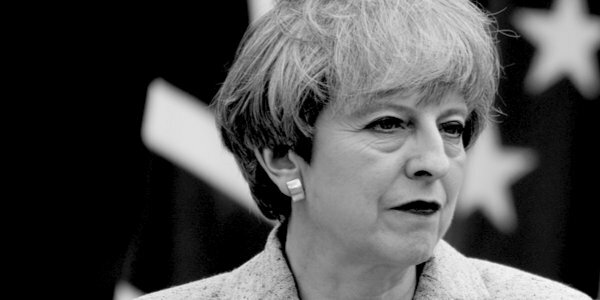 Nevertheless, compassionate conservatives in the Parliamentary party chose you as the next leader in 2016, in defiance of the broader party. Arrogantly, you accepted a Brexiteer’s job despite being a Remainer. You competed with the Labour Party to spend more on the NHS, to intervene, regulate, tax, redistribute, and shift responsibility from the individual to society. You leveraged yourself as a ‘feminist’ to pretend that criticism of your appalling performance is just chauvinistic. You pretended that the gender pay gap is due to sexism rather than gendered choices. You pretended that stop-and-search was racist even though your own civil servants told you whites were more likely to be stopped given the demographics of the hot spots. You have expanded the criminalisation of ‘hate crime’ as a subjective experience. You are tough on neither crime nor the causes of crime. The military forces have shrunk. The economy has grown despite, not because of, anything you have done. Conservative Party membership has fallen during your tenure. On Monday, party members started posting photos of their cut-up membership cards. That’s me finally done.. I couldn’t now care less about voting for the next leader . 5. Leave politics and take your fake conservatives with you. The party must save itself with a true leader who can rebuild the party’s reputation for competence, tempt back members, and earn the popular vote. Yet a superior leader won’t emerge if you set up your fellow fake conservatives to take over. The party needs to break the mould that it failed to break when you took over from Cameron. Take your Chancellor Philip Hammond, he who refused to fund preparations for leaving the EU on 29 March, or to fund police expansion during a period of spiralling crime, until just a few months ago. Take your Justice Secretary David Gauke, who claimed on Sunday that Parliament’s will is more important than popular will or manifesto commitments. Take his mini-me, Rory Stewart, the prisons minister, who proposed not to send knife criminals to jail during an unprecedented rise in knife crimes, who keeps parroting that either your Withdrawal Agreement or a customs union ‘delivers Brexit’, but can never explain why. For all of the damage you have done to your party, the constitution, the rule of law, Parliament’s ethos, mass trust in our democracy, our economy, our society, and our international reputation, leave now.